Having fostered and re-homed over 30 wonderful dogs from the shelter and as a tax payer I am ashamed and sickened at what is taking place at this shelter. Plain and simple it has been a power struggle between an ACO who has a god complex and volunteers who work countless and thankless hours giving of their hearts, souls and pocketbooks even though they have already paid once with their tax dollars. Wherever there is corruption and control issues, the only way to clean it up is to clean house. Many of the pets I have fostered were on the euth list and the ACO practically snarled at me as I took them home to work with them and bring them back from the brink of death and they became wonderful loving and loyal pets for families all over the DFW metroplex area. We had people driving from Dallas, Lubbock, Abilene adopting from our shelter and from our foster homes because of the great reputation we had gained. Now because of foolishness and the yearn for power, what took years to build has been dropped to it’s knees all because of foolish antics and look who pays in the end…these beautiful and loving animals who crawl on their bellies to the gate of their chain link jails, poke their paws or their noses out to beg for a few minutes of love and attention and then slink back with misery in their eyes knowing they may never see life outside of their cells again. Or you get the ones who on their first few days greet you with wild abandon, just knowing it’s their turn for a walk by the volunteer or maybe even a child is coming to take them home as their new pet. Within a few days they barely look up and hope leaves their eyes dry and lifeless because no one is coming anymore…no one to love them for just a few minutes, to offer them a few minutes of praise, a belly rub or better yet to load them into their car where they will be taken into a home, loved on and worked with to become an even better adoption candidate because of the time and training that foster mom or dad will put into them…all for them..just for them to help them to find a new home. Parker Paws was an extraordinary group of wonderful people and had a leader who was honest, forward thinking, compassionate and put her heart and hours upon hours of her life into making this shelter a destination for pet hunters and volunteers all over the area. She was a volunteer – hundreds upon hundreds of hours doing so much for Parker County and what does she get? Everyone involved in causing the loss of Parker Paws should take a good long look in the mirror at themselves and know that the blood of those pets being left behind, being killed, is on their hands. It makes me sad and it makes me sick, and as a taxpayer it makes me very angry. This ACO has a boss. His name and title are Parker County Sheriff, Larry Fowler. His office is funded by, you guessed it, Parker County Commissioners’ Court. I would strongly suggest you get photographs of the shelter and the animals and take the problem to the only people who can recify it. Commissioners’ Court. My last two dogs were from that shelter and both have been and are excellant animals and are like family to me. If I had the room and the funds I would take them all in. People who willfully mistreat animals, especially dogs are lower than whale excrement and need to be put in a job that better suits their talent. Like jailers for the bad folks who are so much like them. The animal control in Parker County needs some serious overhauling. Too many animals have been euthanized before they have had a fair chance to be adopted. Is this the reputation Parker County wants to attract new citizens to live here?? This is inexcusable. It seems as you need to screen the candidates for jobs such as Animal Control a little better. 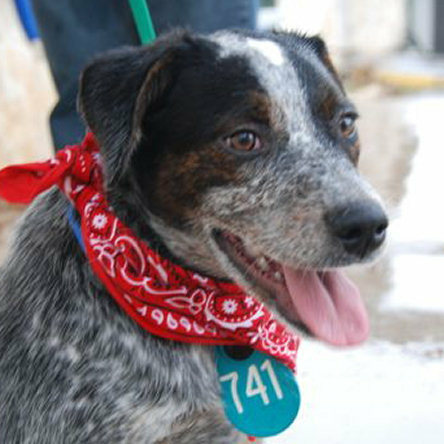 The animal shelter is a joint city of Weatherford and Parker county interprise. The city manager has already tried to smooth over the mess, quess the county judge will have to step in and clean up the mess the woman has made out of the shelter. Why is she being protected should be the first question answered? This mess is not new, it needs to be cleaned up now. an audit is what should happen as well, the public needs to know how the funds have been used by the current ACO. Hopefully Parker Paws will find a new home and continue it’s good work. Thank you all so much….many volunteers have felt like we were the only ones in this county who cares. It shocks me when I find a neighbor or church member friend doesn’t even know we have a shelter. And how many actually think it’s a no kill shelter. It warms my heart to know that people do care and do want to support this cause and to stand up and be counted and heard for the voiceless. The volunteers (Parker Paws) has been the scapegoat and I think the more people read and learn and think, they are capable of figuring out this is a government cover up filled with lies. Accusations of volunteers getting in their way are finally being questioned by the public, the citizens, the animal lovers and the taxpayers. It is my understanding that Mr. Bates became the supervisor to Ms. Daniels and the shelter back in March of 2010. I have seen little change from March until now. It’s only because the public is beginning to speak out and up, the a few changes are beginning to occur, but trust me, I am sure they think in a short time this will go away. We have momentum on our side and need to continue on with pressuring those responsible for answer and change. I think an audit is a terrific idea! And a full investigation regarding all the recent the allegations isn’t a bad idea. I think it’s time someone listen to Dr. Pamela Kaiser and Barb Pursley (president of parker paws) about the changes each was trying to make and their reasons for leaving. I would like to know where the money from the state (given to Parker County in the tune of some huge amount like $500,000.00) for the shelter goes? It is my understanding it goes to the city building fund where it can be and may have been used for buildings that are not even related to the shelter! If that is the case, that needs stopped immediately. Volunteering, fostering, fundraising, transporting for rescues has been a very rewarding experience and this shelter needs to continue to work toward better ways to communicate with and assist volunteer and rescue groups. Also, one of the biggest problems with our adoption numbers are due to lack of exposure. We need a BILLBOARD on the highway not just one tiny green sign, that is often covered by large tree branches, helping people locate the shelter. We need more off site adoption events and perhaps an adoption center at the PetSmart in Weatherford! We need local businesses to help promote shelter animals by hosting off site adoption events and advertising these events! Thank you to all those out there who have fostered, are now fostering or will foster in the future….You are these animals life savers! ps…I would love a place here where we can share our foster dogs who are now ready and waiting to be adopted!!! I have adopted five shelter animals who have all made wonderful additions to the family. I have volunteers to thank for each of these animals as without the volunteers, all of these animals would’ve ended up at the Weatherford Landfill before I was able to adopt them. I believe Parker Paws and other volunteer groups are vital to the success of the the Weatherford Shelter. These volunteers have done a fabulous job or promoting pets, fostering pets, organizing mobile adoptions, operating a low cost spay/neuter clinic, and of course fund raising. These people should be not only welcomed but thanked by the City of Weatherford and especially by the Animal Control employees. I have supported Parker Paws and its volunteers by donating money and supplies, supporting fund raisers, and of course, adopting pets. As an animal lover, registered voter, and tax payer of Parker County, I am sickened to learn about the split and expect major changes to come forth at the Weatherford Animal Shelter. I am planning to attend the February 1 meeting. Hopefully, we will agree to necessary changes; develop an implementation timeline; and establish an audit group to monitor the Weatherford Animal Shelter. Candace, the Feb. 1st meeting is being held by Steve Bates, the director of the animal shelter, to recruit new volunteers to replace the Parker Paws volunteers. He and the shelter management have some measure of CONTROL over volunteers, and I think that’s why he’s try to corral all of us who want to see changes at the shelter into that category. Here are a few things I’ve heard about how things are done at the shelter. Several hours later, ANOTHER former volunteer got a call from Steve Bates asking her to drive the dogs to Plano. I can only surmise that Bates was unable to get the shelter employees to take the dogs. The shelter has a big trailer that was donated by a citizen, I think, but volunteers are not allowed to use it to transport dogs. The dogs got to Plano and a chance at adoption, thanks to a group of former volunteers. No thanks was forthcoming from Bates or the shelter employees. These volunteers have been donating their time and money — the shelter doesn’t even reimburse the volunteers for gas money — in order to help the animals that the shelter employees won’t and don’t. Bates is a bureaucrat with no experience with animal shelters who was given charge of the shelter last March. Since then, he has been promising change, which has not materialized. That’s what happens when you shuffle bureaucrats around who don’t have the knowledge or experience to do their jobs. People like Bates and Dianne Daniels, the shelter manager, are old school animal control people. The animal “shelter” is really a dog pound. They shuffle animals in and out according to some archaic policy and no one goes out of their way to find homes for all the healthy, adoptable animals who were once someone’s pets. These old school people will all tell you how much they love animals, and maybe they do, all evidence to the contrary, but they haven’t evolved with the times. It takes someone with energy and vision to bring Weatherford into the present — and the future. All across Texas and across the nation, shelters are going No Kill. It’s a new age and we need people in charge of our shelter with energy and vision, who are up to date on new methods of caring for homeless animals. I understand that the shelter’s vet, Dr. Kaiser, was one of those people but the ignoramuses at the shelter wouldn’t let her do the job she had been hired to do. Think about this: if there is a hoarding case, for example, the animals that are seized are held at the shelter pending a legal outcome. That means that healthy, adoptable animals already at the shelter are killed to make room for the hoarder’s animals, which are kept at the shelter until legal proceedings conclude. Now, if those healthy adoptable animals are networked with rescue groups and internet resources, they can move on instead of being warehoused at the shelter until they’re killed. Finding homes and rescues for these animals–that’s the work that the volunteers have been doing — and work that the shelter employees SHOULD be doing. If the shelter sends animals to the PetSmart adoptions, they can say that these animals are “live release,” which makes the shelter’s statistics look better. However — those animals are sent to the Ft. Worth shelter for vetting & neutering first. The Ft Worth shelter is an unhealthy environment due to overcrowding and unhealthy conditions, and some of the Weatherford dogs get sick there before they make it to PetSmart. Once they’re on the sick list at PetSmart, they can’t be brought back for a period of months for adoption. So they linger in the Ft Worth shelter, which euthanizes all sick pets. And this doesn’t affect Weatherford’s “live release” statistic. We are gathering a group of people to attend the February 14th meeting of the City Council who think a change in policy and management at the shelter is overdue. We will keep interested members of the public informed on that. Attending city council is a very good first step. Beware of the old SOP though. You will be listened too and some surface moves will take place, but until an outside audit and investigation into the long term past actions of the shelter’s management by a neutral agency nothing positive and lasting will take place. The only interest three of the current council members will be worried about is their own vulnerable postion in this matter. They will be more worried about their own uncomming bid for re-election than anyother concern. This shelter scandal is not a priority at all for them. They are involved in large grandious plans with big money folks for the furthering of making MONEY> MONEY !!! WE are to be the next SouthLake in their plans. So unless you raise a large fuss and don’t go away after the nice pats on the heads you will receive Tues. nite, your cause will fade away into the black hole a lot of other peoples complaints are hidden. Remember these folks are supossed to be public servants, looking after your business. They are not the moral police or your parents, but they try to be if you put up with it.